CAIRO. – Egyptian authorities hanged six men convicted of killing soldiers yesterday, police said, ignoring appeals to spare them amid allegations two of them had been in custody at the time of their alleged crimes. 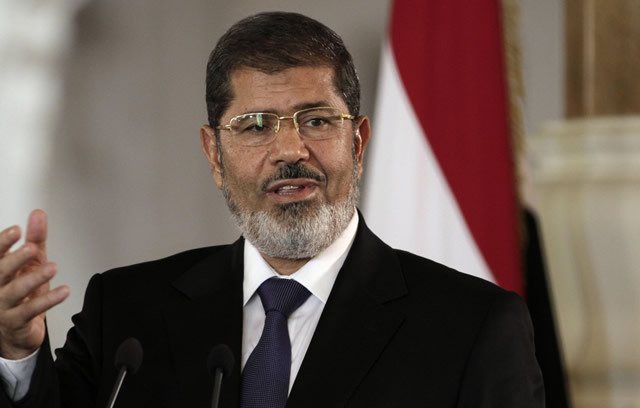 A military court upheld the death sentences last March, following a trial in which the six were convicted of carrying out the attacks in the months after the army’s overthrow of Islamist president Mohammed Morsi in July 2013. Prosecutors said they were members of the Sinai-based Ansar Beit al-Maqdis jihadist group, which late last year pledged allegiance to ISIS in Iraq and Syria. The sentence was carried out by hanging in a Cairo jail, the officials said. Some of the men had been arrested when police and soldiers raided their safehouse north of Cairo in March 2014. Two army explosive experts and six militants were killed in an ensuing gunfight, adding to the list of charges against the six men. But human rights groups had appealed for a stay of execution, saying two of the defendants had been in custody at the time. Amnesty International said the men underwent a “grossly unfair” trial and that the only witness during the trial was a secret police officer. Meanwhile, the United States is “deeply concerned” about an Egyptian court decision to seek the death penalty for former president Mohammed Morsi, a State Department official said yester- day. “We are deeply concerned by yet another mass death sentence handed down by an Egyptian court to more than 100 defendants, including former president Morsi,” the official said after the court’s ruling was announced on Saturday, drawing condemnation from rights group Amnesty International. “We have consistently spoken out against the practice of mass trials and sentences, which are conducted in a manner that is inconsistent with Egypt’s international obligations and the rule of law,” the official said. A final decision is expected on June 2. – AFP/News24.